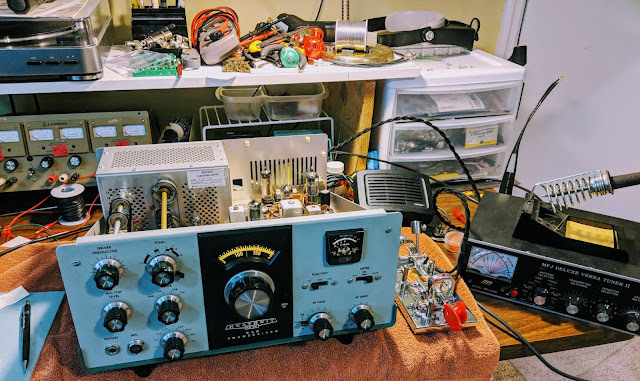 I completed my rebuild of my Heathkit HP-23B power supply this morning. There was a bit of frustration on my part as I followed the instructions because they only have photos of a HP-23 which has adjustable bias and no LV switch. It left me scratching my head a couple times, and I had to locate a schematic of a HP-23B to complete the work. In the midst of the rebuild I thought I had a problem with the transformer. 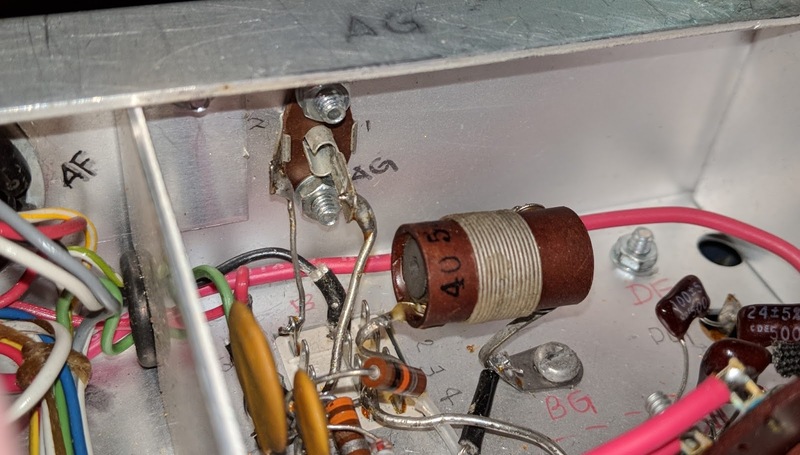 Both low voltage winding taps (275v and 350v) showed very low resistance (about 5 Ohms) to chassis ground, which led me to believe there was a short in the transformer. I called my mentor in all things Ham radio, Paul AA4XX, and described the issue. He walked me through the schematic and had me unsolder a couple points to confirm his guess that all was well. That double tap, low voltage winding presents very low resistance to ground but it is not a short in the world of AC. I continue struggling to wrap my head around the differences in AC and DC, but I'm slowly learning and fortunately haven't caught anything on fire yet. 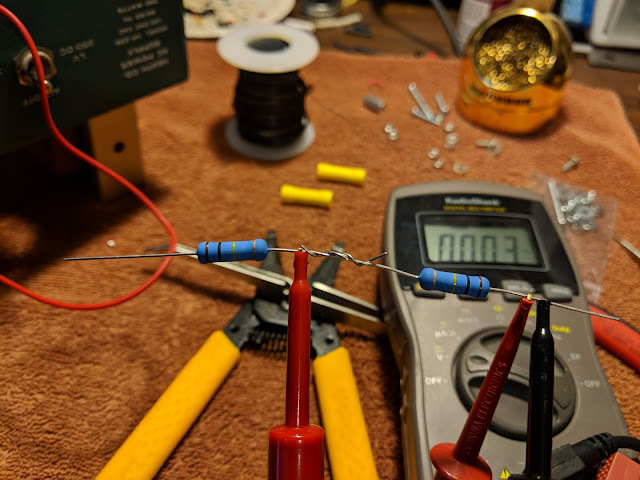 My Multi-meter can only measure up to 600v, so in order to measure the 800v output I used two 3 watt 100 kOhm resistors in series as a voltage divider. 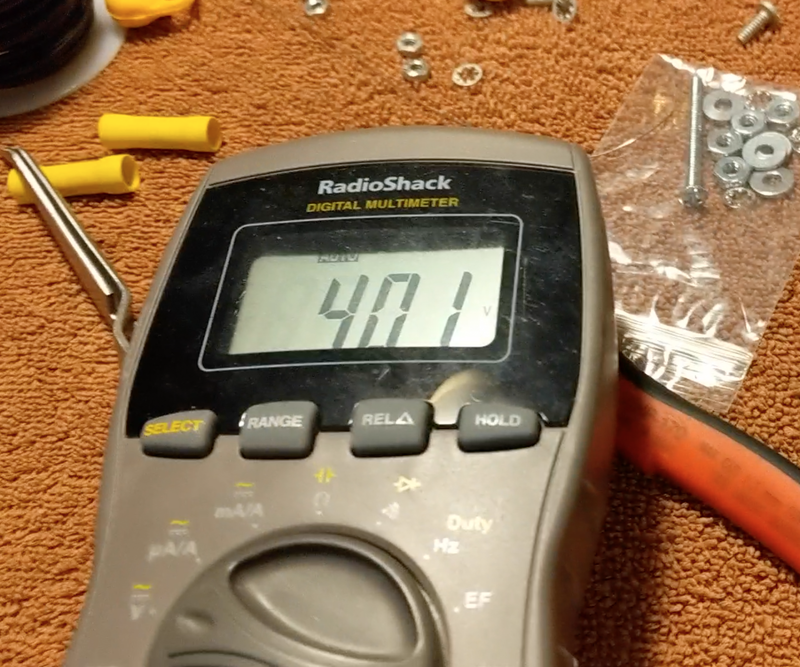 When in use, the MM will read half the voltage. The kit places all the components in the base and the holes that the old big filter capacitors used to be in are now just ventilation. I need to put a wire shield over those holes because high voltages are present just below, as well as some really hot resistors. 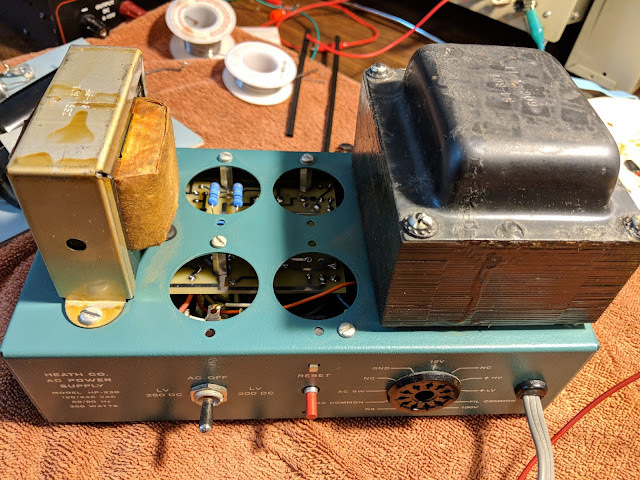 With the top cover back on it, there shouldn't be a problem but the wire mesh shield is still recommended, especially if it's to be used inside a Heathkit speaker, where the top cover is not used. 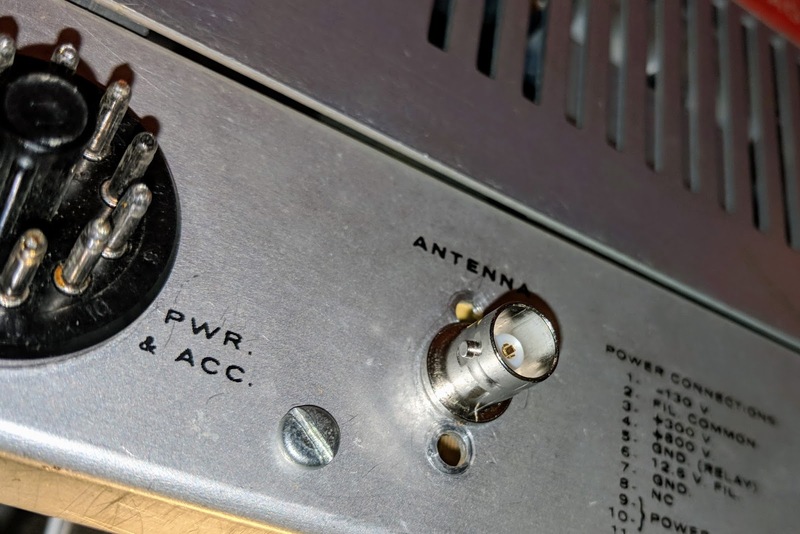 Original antenna connector was a RCA with questionable integrity. Replaced with BNC jack which fits without enlarging the original hole. 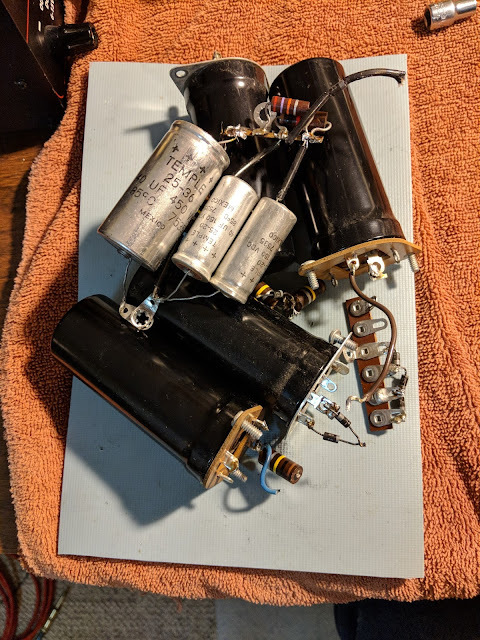 I replaced the old paper 350v 20uF electrolytic capacitors in the HW-101 and then connected the power cable and switched it on via the switch in the HW-101. I didn't hear any audio at first and thought something was wrong. Silly me, those tubes need a bit to warm up. After a minute I was hearing audio and used the built-in crystal calibrator to check the VFO dial. It was pretty close to spot on. I ran through some initial checks according to the Heathkit manual. Receive worked well. I listened to some SSB and then dropped down to the 40m CW portion of the band and listened to CW. I waited about 30 minutes for the tubes to warm up. I didn't hear any drift on CW stations I was monitoring. I found an open frequency, checked the plate current and then tuned up, outputting only about 10 watts because I don't know what state of alignment the finals are in yet. This is the first time I've tuned a tube rig and that was interesting. You have to peak the preselector in receive mode first, then when in tune mode, quickly work back through the preselector, final tune and load levers to peak the RF output. It reads more complicated than it actually is. My OCFD antenna has about a 1.7:1 SWR on 40m so it didn't need much tweaking from the initial settings. I tuned around and answered N4PGJ, Ron in NY, and had a brief WES exchange. The relay control time set by VOX delay needs to be bumped up a bit as it was dropping between every word break, but other than that it worked like a charm. I'll make a video soon, but initial impressions are positive. The audio quality was astoundingly good, and the CW filter really did a much better job than I expected. It has a very pleasant sine-wave sidetone rather than the raspy square wave sidetone of my Ten-Tec Century/21. I really think I'm going to enjoy using this old rig. So lower your power and warm up those tubes. Nice looking rig Richard.I am following the same path up here. I bought an old HW-101 this winter and have it QRV now. Mine didn't need too much repair, a complete alignment (didn't receive or transmit at all) and cleaning on switches and the tube sockets to get rid of some intermittents. It's satisfying to use old school equipment again. Nice to hear from you Don. Yes, I was warned but I seem to have been bit by the tube bug now. 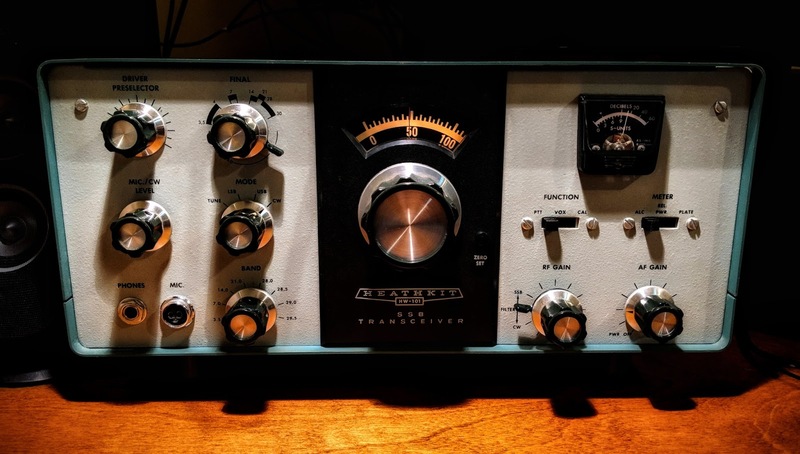 I'm spending all my time perusing hollow-state circuit diagrams and after picking up a 1955 remote Knight-kit VFO, I'm looking to build a simple tube transmitter than I can use it with.